FASB is seeking comment on the proposed exposure draft requiring certain disclosures about liquidity risk and interest rate risk. The proposal would apply to all reporting entities—including credit unions—and is intended to provide users of financial statements with more decision-useful information about entity-level exposures to liquidity risk and interest rate risk. The proposed amendments would require tabular disclosure of the carrying amounts of classes of financial assets and financial liabilities segregated by their expected maturities, including off-balance-sheet financial commitments and obligations. In addition, the proposed amendments would require a financial institution to disclose the carrying amounts of classes of financial assets and financial liabilities segregated according to time intervals based on the contractual repricing of the financial instruments. The use of antiquated and inadequate methodologies for measuring interest rate risk. Credit unions have been making member-business loans (MBLs) since their inception in the early 1900s. In the first 90 years of our existence, there was no MBL cap on the industry. The current cap is an arbitrary limit imposed by Congress in the Credit Union Membership Access Act of 1998 (CUMAA). In the next year, credit unions business lending could increase over $13 billion, helping small businesses create over 140,000 new jobs if Congress increases the statutory cap on credit union business lending. This can be done without costing the taxpayers any money and without increasing the size of government. The industry does not need taxpayer assistance to do more business lending; credit unions only need authority from Congress. S. 509/HR. 1418 represents a carefully crafted compromise among Treasury, Congress and NCUA that is tailored to address concerns that a cap lift might create safety and soundness issues. Any credit union seeking a higher MBL cap would have to be well-capitalized, have at least five years’ experience in MBLs, be at or above 80 percent of their current cap and could not grow their business lending by more than 30 percent a year. Raising the cap would not harm community banks as the credit union industry holds just 5.3% of all small business loans at depository institutions. It took the credit union industry 100 years to reach this market share. Even if the industry was able doubled its market share the banking industry would hold an overwhelming 89% share. The banking industries’ position that tax-subsidized credit unions should not be granted an expansion of powers – especially now –as tax subsidies contribute to the national debt during a time of extreme budgetary pressure is inaccurate. In reality, having the credit union industry pay federal income taxes will have no discernable effect on the federal budget deficit. The Joint Committee on Taxation’s current estimate of the value of the credit union tax exemption is $650 million for 2010 – equal to 0.055% of the $1.2 trillion 2010 federal budget deficit. However, credit union business lending does in fact produce greater capital expenditures, greater economic activity and ultimately more job creation. The multiplier effect means that these new jobs lead to new spending which then sets in motion support to a self-sustaining economic recovery. Congress should enact legislation (S. 509/H.R. 1418) to provide a taxpayer-free infusion of $13 billion in capital to small businesses to create 140,000 jobs nationally, by increasing the credit union lending cap to 27.5%. This approach has been endorsed by the Obama administration and endorsed by Treasury Secretary Geithner. Credit unions remain one of the highest regulated entities in America. Including business loans, loan delinquencies and loan losses are far below that of banks. The community banking industry in 2010 reduced their loans to small business while credit unions posted an increase. 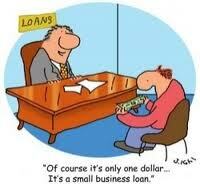 Credit unions often approve loans to small business that banks reject. 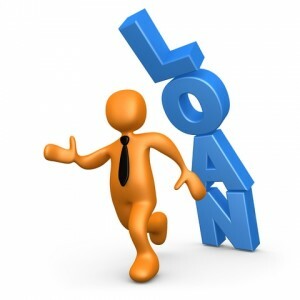 The average credit union business loan is around $200,000. Many banks aren’t interested in making these small loans. Please contact your elected congressional leaders asking them to support raising the member business lending cap. We need to do everything we can to get Americans back to work and give small businesses access to capital they need to start hiring.